At GT Campbell Plumbing, we have the expertise and skill to handle all types of new construction plumbing jobs. New construction plumbing is a specialized job, and it should be left to the experts. 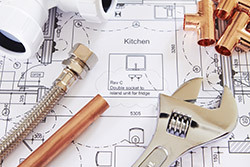 When you choose us for the job, we will work closely with your architect or builder to ensure that all of the plumbing work is completed as per the plan and any applicable requirements. With any new construction project, there are several crucial aspects that need to be taken into consideration. Plumbing a new home is a big job, and it is important for plumbers to work with other contractors and providers to ensure that it is done correctly. 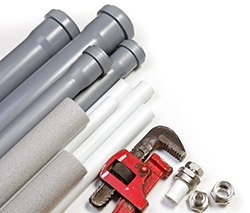 Most modern plumbing is concealed beneath flooring or behind walls. Therefore, it is extremely important for plumbers, architects and builders to coordinate to ensure that everything is installed properly. Your plumbing system is one of the most crucial systems in the home, so it is important to choose a plumbing professional that you can trust to get the job done right. At GT Campbell Plumbing, we pride ourselves on providing affordable and dependable plumbing services for new construction projects of all sizes. We use only the best materials, and our technicians are trained to provide top-quality work. If you need help with a new construction project contact a plumber in Rochester NY. Call GT Campbell Plumbing at for the best plumbing service in Monroe County.